From 1870 to 1969, the hub of the Barnardo's home organisation was in an evolving collection of buildings on Stepney Causeway, a residential street in the Ratcliff area of east London. The house, number 18 Stepney Causeway, has been taken on lease, and various workmen — carpenter, painter, plumber, and gas fitter — are now busily engaged in fitting it up. When completed it will contain five dormitories capable of accommodating sixty lads in all. There are, besides, four rooms fitted up as lavatories, with basins, baths, etc., and also a good kitchen and wash-house, and a private room for the father and mother of the family; space for healthful recreation is provided by the back premises, which consist of a good yard, coach-house, with stable and loft. The rent for all is £45 per annum, exclusive of taxes, which are about £12 more. I need not tell you that we are fitting it up as plainly and economically as is consistent with its permanent usefulness, and those friends who have already visited it concur with me in the carrying out of the various plans suggested. I long to see it completed and ready for the reception of the lads, and if the needful supplies were in hand, this could easily be accomplished in three weeks' time. The hoped-for funds were slow to materialise but the home eventually opened in December 1870. Sometime in the early 1870s, the death of a boy named John Somers — better known to his acquaintances as "Carrots" because of his red hair — made a lasting impression on Barnardo. On one of his regular trawls of the places where homeless boys were known to sleep, "Carrots" had pleaded with Barnardo for a bed at Stepney Causeway. However, there were only five places available and he was not one of those picked out. A few days later, the boy was found dead, the result of hunger and exposure. (You can read Barnardo's own account of his encounter with "Carrots" on a separate page.) Barnardo was so moved by the episode that he was determined that it should never happen again. In 1874, he opened 10 Stepney Causeway as the first of his open-all-hours shelters — later named "Ever Open Door" homes — whose boldly stated principle was "No Destitute Child Ever Refused Admission". The shelter later expanded to include 8 Stepney Causeway then, by 1900, had relocated to number 6. The shelter provided only short-term accommodation while each applicant's circumstances were investigated and efforts made to find them longer-term housing, some entering the main home at number 18. The increasing numbers living at number 18 led to its steady expansion into neighbouring properties and by 1876 it occupied numbers 18 to 26. Unfortunately, the poor state of the buildings at 20 to 26 led to a major rebuilding being required almost immediately. The reconstruction provided extra accommodation and also the provision of workshops for the teaching of trades such as carpentry, shoe-making and tailoring. Boys at the home wore a uniform consisting of an indigo tunic, trousers piped with scarlet and a matching cap. 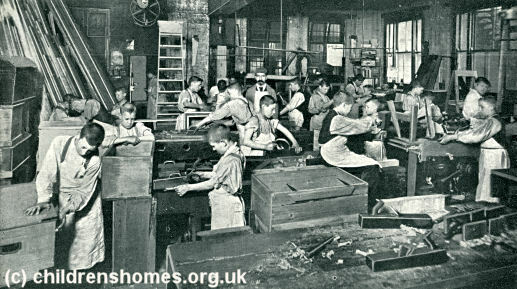 In order to keep space available for new arrivals, there was a constant pressure for boys to move on from the home where after a few months training they would, it was hoped, be more employable and self-sufficient. 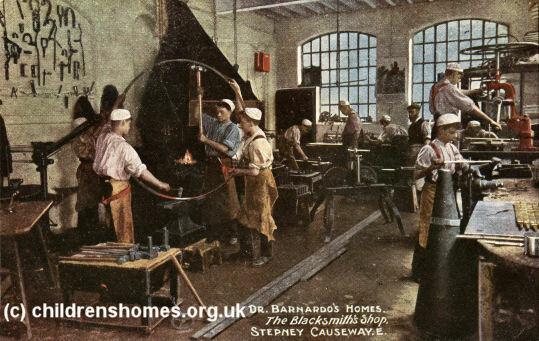 In 1890, Stepney Causeway was described as "a large industrial voluntary home, providing maintenance, education and practical instruction in technical handicrafts to boys over 13 years of age". 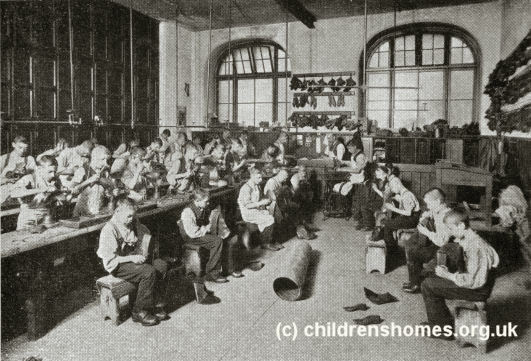 The premises also housed the general offices of the 34 institutions by now being run by Barnardo's organisation. 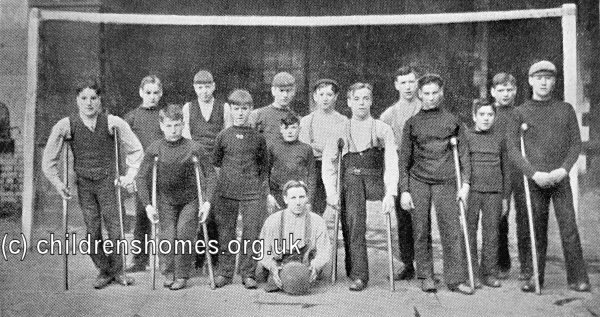 In 1885, the purchase of eleven houses on Bower Street, a road backing on to Stepney Causeway, allowed the construction of a new block for the boys' home. The building, designed by Mr R.H. Hill, was opened in 1888. With the additional space, the home could now house up to 400 boys. 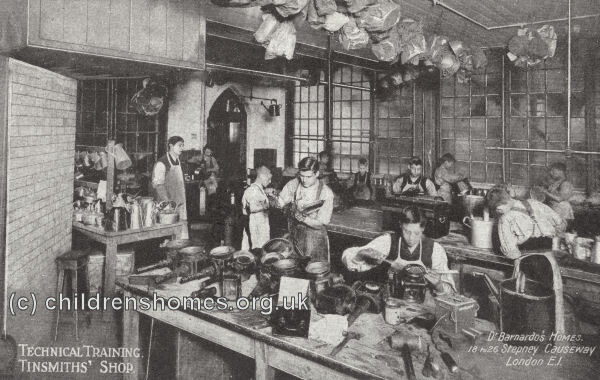 New workshops extended the range of trades in which industrial training was provided at the home. These now included tailoring, shoe-making, carpentry, brush-making, engineering, blacksmithing, tinsmithing, mat-making, wheel-making, harness-making and printing. 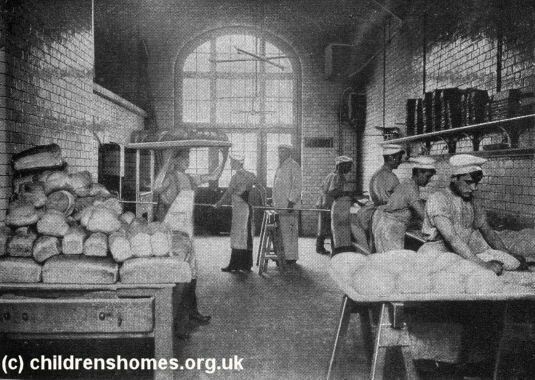 As well as teaching the craft of bread-making, a bakehouse produced bread each day for all of Barnardo's London homes. 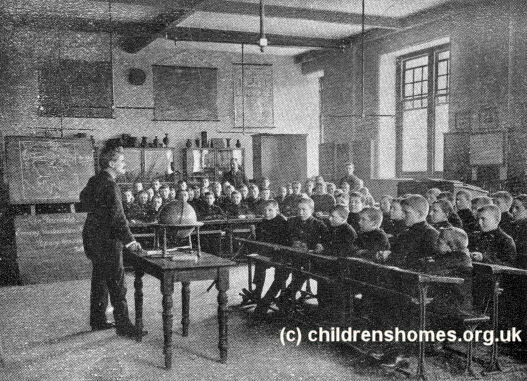 The new building also housed school rooms, a chapel, library, swimming pool, a board room, and a private room with bathroom for Dr Barnardo's use. On its top floor was a photographic studio where each child was photographed on admission to the home and again on leaving. 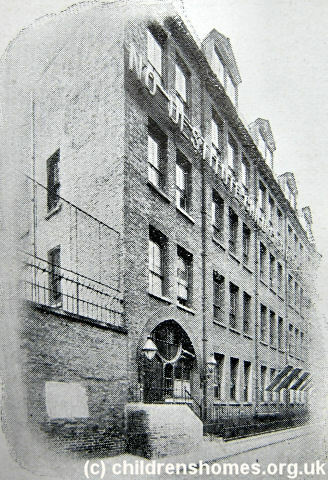 The Bower Street block was connected to the Stepney Causeway premises by a bridge. Between the two buildings was a playground and a drill yard where the boys exercised each morning. The home had its own uniformed band who occasionally performed at outside events in the area. 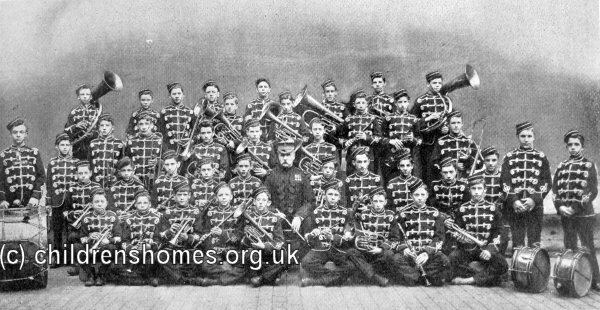 Musical training also provided boys with a route for future employment as military bandsmen. In 1927, the Bower Street side of the premises was sold to the recently formed London East End Hostel Association who operated it as a hostel for working boys under the name of John Benn House. The hostel was bought back from the Association in 1949. 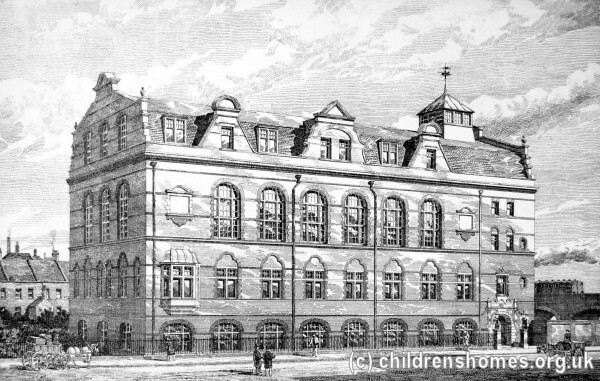 In 1877, 19 Stepney Causeway was taken over for use as a hospital unit for children from Barnardo's homes. In 1888, a much larger purpose-built facility, Her Majesty's Hospital was built on the site of 13-19 Stepney Causeway. From 1903 until 1914, 30 Stepney Causeway was used as an isolation house. The map below shows Stepney Causeway and surrounding area in the mid-1890s. 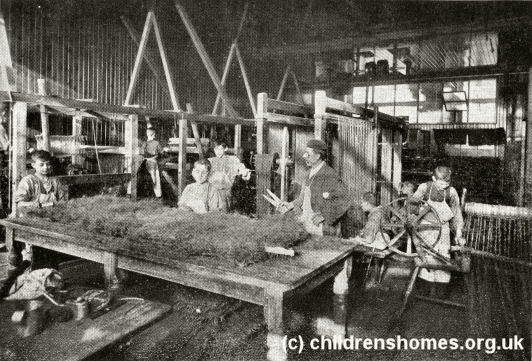 In 1899, Barnardo's took over the running of the Marie Hilton Crèche at 12-16 Stepney Causeway. 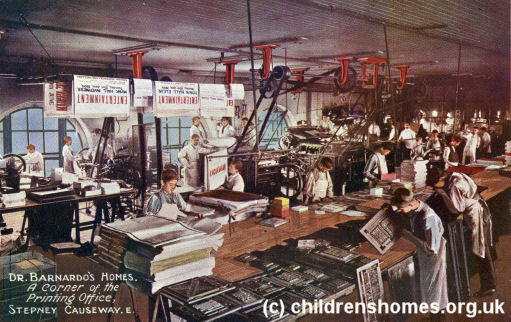 The home, founded in 1871, provided day-care for the babies and children of working mothers and continued in operation until 1939. In 1930-33, the run-down properties at numbers 6-18 Stepney Causeway were demolished and replaced by more modern accommodation. 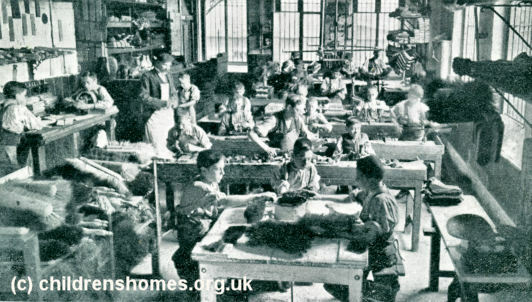 In around 1934, a Barnardo's hostel for twenty-one working boys over the age of 14 was opened at number 4 Stepney Causeway. It closed in 1967. At the start of World War Two, all the children's accommodation on the street — with the exception of the hostel at number 4 — was closed and the residents evacuated to accommodation in safer areas. In the latter part of 1940, the west side of the street was hit by fire bombs which burned out the top floor of numbers 20 to 26 destroying a large stock of clothing and toys in store for distribution at Christmas. A few days afterwards, another bomb hit destroyed a food store and superintendent's quarters. In 1969, the increasing expense of running the sprawl of buildings on Stepney Causeway, and their growing unsuitability for use as modern business offices, led Barnardo's to make the momentous decision to leave its historic base. The administrative headquarters were transferred to a purpose-built five-storey office block on Tanner's Lane, Barkingside, at the north end of the Village Home site. Stepney Causeway and its neighbouring streets has now been completely redeveloped with modern flats occupying most of the area.